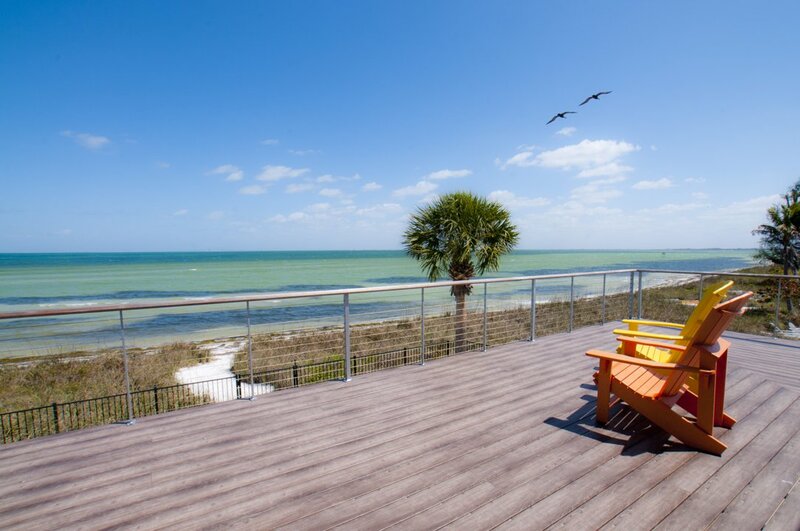 Shelling, while popular around the world, has a very unique flare on our Anna Maria Island. Sprawled out generously across miles of our beaches and nestled into our white powdery shoreline, unique and beautiful shells are found in an abundance. If you are experienced at shelling, with a keen eye for sand dollars or newly adding shelling to your repertoire of hobbies, you will find a wide variety of beauties to pick up. Just for you, we've outlined several of the lesser populated beaches that are the perfect spots to find those sand gems if you are planning to spend some time shelling your way around the island. Many of these locations are more on the secluded side with very limited parking so we advise travelers that taking an alternative mode of transportation may be best. Bikes, golf carts or even coming from the water to land by kayak or paddle-board are all viable and healthy viable options for transport and on an island like ours, places to rent from at prices as low as $12 a day can't be argued with! 1. All you need is sunscreen and a bucket to put your shells in. 3. If you plan to look for shells in shallow water, it's recommended to wear water shoes and shuffle your feet to bring up any shells that may be buried in the sand. 4. It's important to remember that you should never take live shells from the beach since it's still a living creature! With respect to our local marine life, remember that shells house living creatures and that dead sand dollars (white colored versus brown) are the only ones you should be taking from the beach. Make sure you thoroughly inspect each shell you find in case your handling someone's home! A local Anna Maria Island sheller gives you these trade secrets for uncovering the most beautiful shells these shores have to offer. "The absolute best spots for unique and beautiful shells require a good eye and constant combing of the shore. Great finds take great effort. Sometimes the most collectible shells are just under the surface so make sure you spend a good amount of time in seaweed beds by the shore and in what I call 'the shelf' of the shore, where the waves have made a mini cliff between the wet sand and dry dunes. You will need to dig and dig again. Just keep digging! Be quick when you find a shell this way because in a moments notice, the tide or sand can swallow it back up, never to be see again. My favorite shell is called the 'common american auger' because you can find them everywhere and 9 times out of 10, they are undamaged by the elements of the sea. 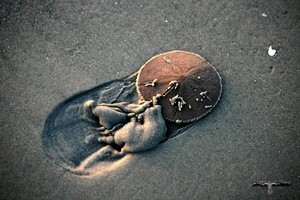 When you find one of them, there is sure to be many in the surrounding sand. They are strong, small and everywhere. It's kind of reassuring knowing that if that shell can be thrown around by the ocean, make it's way across the world and end up in my hand unscathed, that maybe so can I." So you've found a bike, grabbed a pail and your toes are in the sand- with miles of beaches either way you look, where do you start? What shells are you looking for? The answer is simple. Wherever and whatever you want. 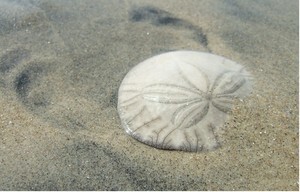 You will be amazed at all the different kinds of shells that can be found along the water and in the ridges of the sand. A variety of colors, sizes and shapes are the beginning of their beauty. One of the best parts about shelling is identifying the different types of shells you've found. 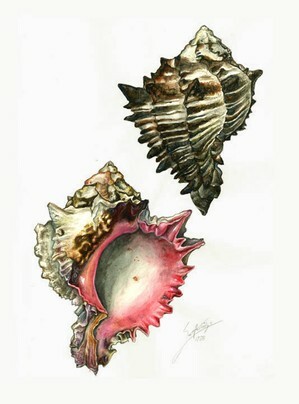 Learn about the different shells you may find below and add knowledge to your new found keepsakes. The shells you may collect can be used to decorate with, hide keys in or as a great gift idea for those who couldn't make the trip out to the beach this time. The fun doesn't stop there; it's really just begun! After you have rinsed the shells clean and let them dry in the sun you can use them for all sorts of things! 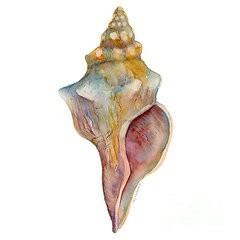 Collected shells are great for crafts, jewelery, gifts, and souvenirs! The horse conch (Pleuroploca gigantea), also known as the giant band shell, has been Florida's official state shell since 1969. 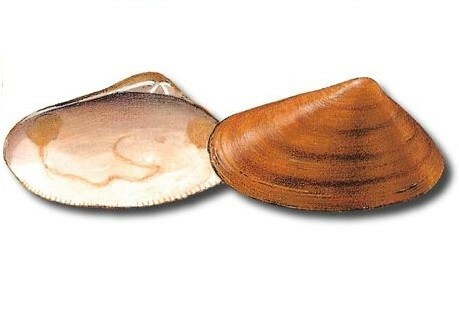 This shell is native to the marine waters around Florida and can grow to a length of twenty-four inches. Young horse conchs have orange-colored shells; adults have orange apertures. 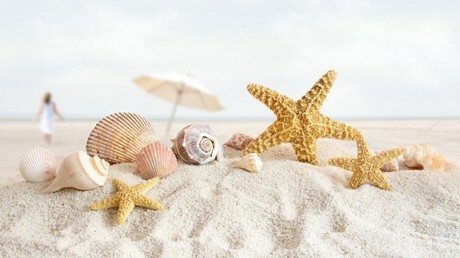 Now that you're equipped with everything you need to know about shelling, the treasures that you will find on Anna Maria Island beaches are perfect keepsakes to remember your terrific time spent in paradise! Check out our Pinterest by clicking below for great projects to use your shells for! 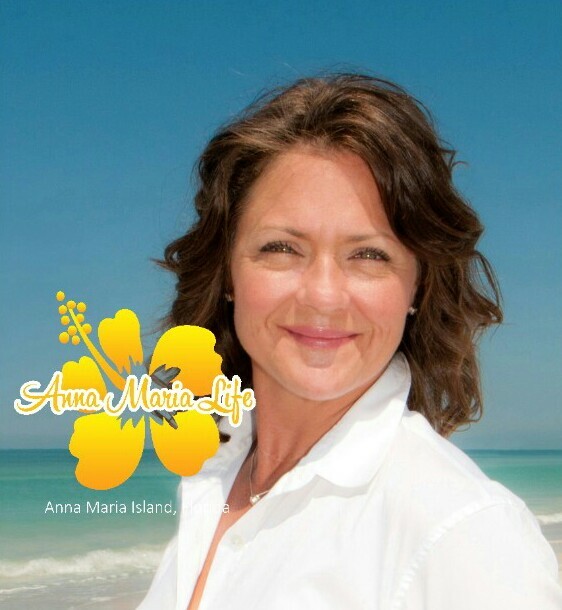 Follow Anna Maria's board Shelling Ideas on Pinterest.